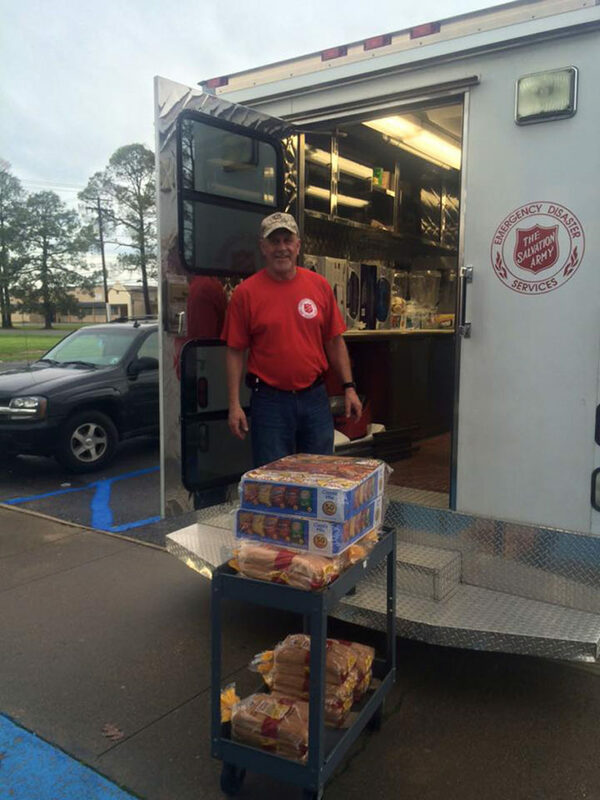 JACKSON, MS (August 28, 2017) – As forecasts for Tropical Storm Harvey predict the future path the storm may take, The Salvation Army stands ready in Louisiana and neighboring states. The Louisiana Emergency Operations Center (EOC) is now monitoring Harvey 24 hours a day. The Salvation Army Division Liaison Coordinator, Bill Feist, will deploy to the EOC tomorrow to coordinate with state and non-governmental organizations to identify opportunities for The Salvation Army to provide disaster relief to affected communities. The federal emergency declaration is for Beauregard, Calcasieu, Cameron, Jefferson Davis, and Vermilion parishes in southern Louisiana. Although torrential rain has already fallen, state officials are expecting upwards of ten to fifteen inches more in the coming days. The Salvation Army is prepared to respond when needed. Currently, 29 canteens or mobile feeding trucks are on standby with personnel. “Whether disaster relief needs are in Louisiana or Texas, we are ready. The mobile feeding units are stocked and personnel are prepared to deploy.” said Lightheart.